Living in the centre of Glasgow definitely has it’s perks, but it can also leave you feeling really overwhelmed when it comes to choosing your ‘go to’ hair and beauty salon, so when we were contacted by the lovely people at Miss Bartons Salon, I was really excited to try out somewhere new! Unfortunately Sami couldn't make it, so I brought my Mum along for some pampering, I was booked in for a Dermalogica Facial and my Mum was trying out the Brow Bar. The salon was really easy to find, and the lovely sign and fairy lights really brightened up the horrible dark winter night, making it look like little haven for all things pretty! Upon arrival we were warmly welcomed by Asia Dhesi, the salon owner who let us have a little look around and then got started on sorting out my Mums brows. As for me, I was treated to a cup of tea and mince pie whilst I filled out some information to help with my facial, the Salon has been beautifully decorated and I felt so cosy and relaxed even before my treatment began! My wonderful Dermalogica Facial was prescribed by the lovely Sara Black, who specialises in ‘face mapping’ which basically means, she divided my face into 14 different sections and highlighted what the skin type/skin issues were in these areas, I was really pleased that she took the time to go into so much detail as it really educated me about my skin, and made me understand exactly what my skin needs to ensure it’s on it’s best behaviour. The facial itself was AMAZING, I’ve never really been one to have regular facials, but I definitely think after this I’ve been bitten by the facial bug (I’m already booked in again for next month!) my skin has never felt so good, and I personally had never felt so relaxed, it was just what I needed. As for my Mum’s brows, what a transformation, Asia took so much time to chat with my Mum and find out exactly what she wanted, and the results were really fantastic (she is also booked in for next month ha ha) We really felt that both Asia and Sara went above and beyond to make us feel relaxed, happy and informed about our treatments, and its this extra mile that really made it for us, it was a lovely personal touch that I personally had never experienced before, and one of the many reasons I will now be happy to call Miss Bartons my regular ‘go to’ hair and beauty salon. 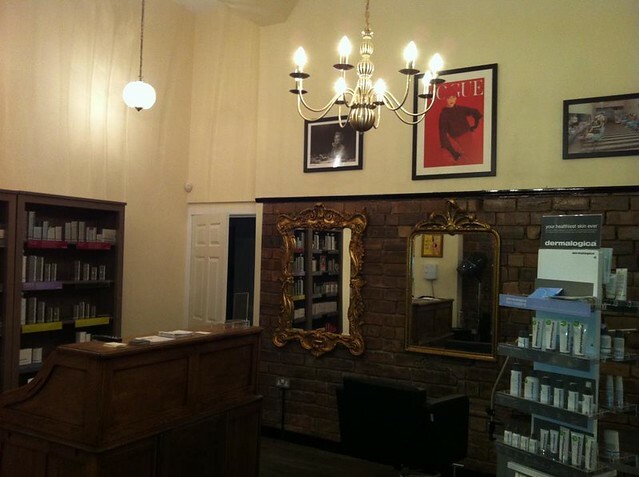 For full details and information on the salon you can check out the website. Also, on Tuesdays and Wednesdays they offer students 20% off, which is incredible considering the prices are so reasonable to begin with, so now there really is no excuse not to treat yourself to a little festive pampering! * I was lucky enough to be given these treatments free of charge, however this is not a sponsored post, and I was not under any pressure to write this post, I just really loved the salon and wanted to share it with you guys!